Commissioned by Royal Corinthian Yacht Club (Burnham on Crouch,Essex) members as a boat suitable to the conditions on the River Crouch. A fleet of fourteen started racing in the spring of 1935. Still being raced into the 21st century. For more information see web site listed here. Dimensions are approximate. 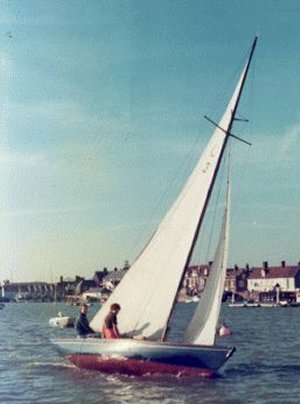 Spinnaker introduced in the late 1950's.